Shares of Sonos (NASDAQ:SONO) dropped sharply after the wireless and home speaker manufacturer reported solid first-quarter numbers that topped analyst estimates, but included a warning about second-quarter revenue growth and uninspiring news that CFO Michael Giannetto would leave the company later this year. In response, SONO stock dropped more than 10%. To be sure, the quarter wasn’t all bad news for Sonos. New products sold well in the quarter. Revenue growth was decent. Adjusted EBITDA margins continued to expand, and management maintained their full-year and long term revenue and EBITDA growth targets. But, just because the quarter wasn’t a complete disaster, that doesn’t mean this dip in SONO stock is worth buying. In fact, quite the opposite. 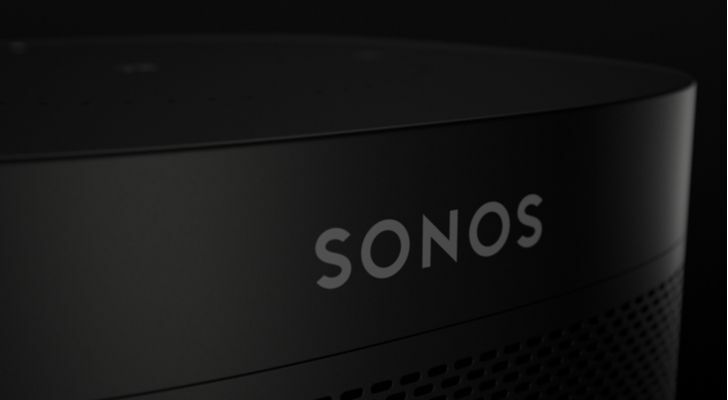 Sonos increasingly looks like a niche consumer hardware company that will follow in the footsteps of GoPro (NASDAQ:GPRO) and Fitbit (NYSE:FIT). Second-quarter numbers did nothing to deflate that bear thesis. As such, so long as the prevailing thesis here remains GoPro 2.0, investors should stay away from SONO stock, especially at prices above $10. In early September, when Sonos was a $20 stock, I wrote a piece on why Sonos looked like GoPro 2.0. Broadly speaking, the thesis was that Sonos operates in a niche consumer hardware space with hardware that isn’t terribly hard to replicate. Importantly, the company isn’t big enough or have enough customers to benefit from network effects, and other companies in this space are much bigger with much larger customer ecosystems. As such, Sonos finds itself in a similar position today as GoPro and Fitbit found themselves in several quarters ago. The GoPro and Fitbit narrative ended poorly. The Sonos narrative will, too. It will come under increasing competitive pressure from bigger players. Sales growth will slow. Margin expansion will slow. Profit growth will slow. The whole company will slow, and that will have a negative impact on SONO stock. It appears the market is buying into this thesis. Since early September, SONO stock has lost about half of its value, and now trades just over $10. There wasn’t anything in the Q1 report which provides much relief to bulls. Revenue growth was positive, but it was weak. Adjusted EBITDA margins moved higher, but that’s because of lower marketing spend, which is diluting revenue growth. Also, gross margins dropped year-over-year due to an adverse product mix. The long term guide was maintained, but near-term inventory challenges in Q2 call into question the legitimacy of that long term guide. Overall, there was some good news in the first-quarter report, but not enough to override the prevailing bear thesis here. So long as that bear thesis remains front and center, SONO stock will struggle for gains. Even in my realistic best case scenario for Sonos, I don’t think SONO stock is worth over $10 today. Management is guiding for long term revenue growth of 10%-plus. That seems aggressive considering slowing growth trends, huge competition, and lessened marketing spend. As such, I think mid-to-high-single-digit revenue growth is much more realistic over the next several years, and that $2 billion in revenue is doable by fiscal 2025. During that stretch, I expect margins to keep heading higher thanks to constrained marketing spend coupled with healthy revenue growth. By fiscal 2025, adjusted EBITDA margins have an opportunity to hit 10%. Under those assumptions, I think a realistic best case scenario for SONO stock is $1 in EPS by fiscal 2025. A market average 16 forward multiple on that implies a fiscal 2024 price target of $16. Discounted back by 10% per year, that equates to a fiscal 2019 price target for SONO stock below $10. Bottom line? The prevailing bear thesis on SONO stock currently looks pretty accurate. So long as revenue growth rates remain depressed and gross margins keep dropping, it won’t go away. And so long as that bear thesis sticks around, SONO stock will struggle for gains. Article printed from InvestorPlace Media, https://investorplace.com/2019/02/sonos-stock-still-isnt-cheap-enough-to-buy/.